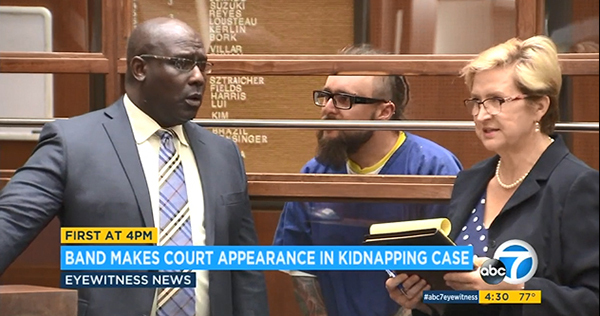 Polish metal band Decapitated appeared in a Los Angeles, CA courtroom yesterday as a result of their arrest Saturday on first-degree kidnapping charges. Since their arrest, the band has been in jail awaiting extradition to Spokane, where a woman alleges she was gang-raped by members of the band following an August 31 concert there. All four members of Decapitated -- Michal Lysejko, 31, Waclaw Kieltyka, 35, Rafal Piotrowski, 31, and Hubert Wiecek, 30 -- were in court on Tuesday, and each member appeared individually before a judge. With a Polish translator present, all four agreed to be extradited to Washington, though it could take up to 30 days until extradition occurs. A video report from ABC7 in Los Angeles can be viewed below.